The 150th anniversary of confederation has provided us with many wonderful occasions to reflect on our shared Canadian heritage, to acknowledge both the unique challenges and opportunities that have arisen from this great experiment in nation-building, and to chart a course toward a more peaceful and prosperous future together. As the year wanes and we prepare to welcome in 2018, we are pleased to announce that we have one more 'Canada 150' offering for you! 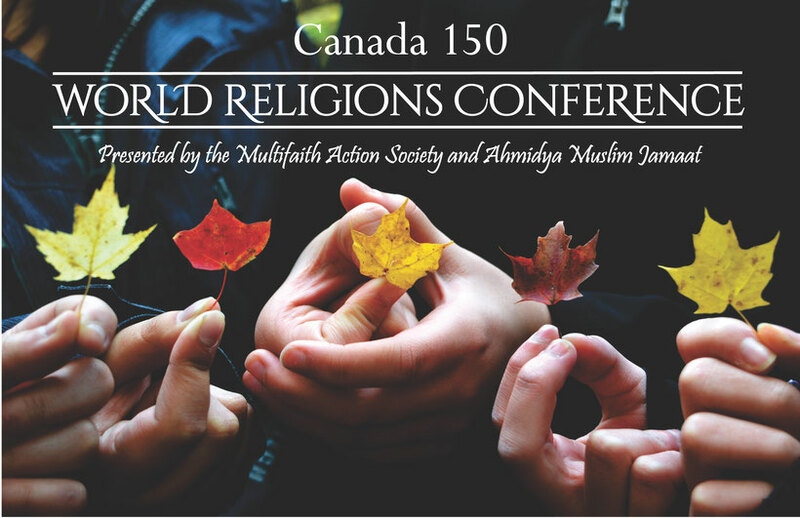 Please join us at 2 pm on Saturday, November 25 for a World Religions Conference at the Baitur Rahman Mosque in Delta, wherein we and our panelists will be discussing the role of faith in cultivating peace in Canada. This is a free event and all are welcome! For more information or to register, please contact Umar Farooq Chaudhry, Outreach Secretary, Ahmadiyya Muslim Jama’at, or Acharya Dwivedi at 604.507.3099. We hope to see you there! Copyright 2011 - 2018 Multifaith Action Society.